It’s out, it’s great, go get it. First the good news, the 14th Issue of This is Fly on-line fly fishing magazine for the trendy, gung-ho fly fisher is out. I have a real thing about some ‘poses’ taken when photographing fish. In this issue of This is Fly are two photographs that exemplify the “I will do anything to make this ugly fish look longer” attitude. It it is based on the seemingly fashionable trick of the happy angler holding the head of the fish as close to the camera as possible and the tail close to his body. The technique can work if the fish is in good condition, fit and fat. But if the fish is skinny and out of condition, oh dear, how sad. So have a look at the photo of the trout, and I use the word ‘trout’ loosely, on page 51, is it a trout or an eel? No amount of camera tricks can disguise the fact that is a truly undernourished fish. Yes, I know it fits with the US obsession with measuring the length of the fish to the exclusion of all other factors that go to make up whether a trout is a good all round fish. Just make the fish look long in the photo. But the fish in this picture was so out of condition and hungry it would have chewed on a brick if you threw it in the water, and probably fought like a wet sock. The felony is compounded on pages 43 and 107. Two more fugly fish, which no amount of camera chicanery using the ‘pose’ could make look good. So guys, if the fish is shaped like an eel, under nourished and slab sided, do the decent thing; quietly un-hook it in the water and let it swim away to do some much needed feeding. We promise not to watch. The new issue of Catch Magazine is out now, and yet again they have set new standards in fishing photography, exceeding even that which has gone before. This is how fly fishing should be depicted. 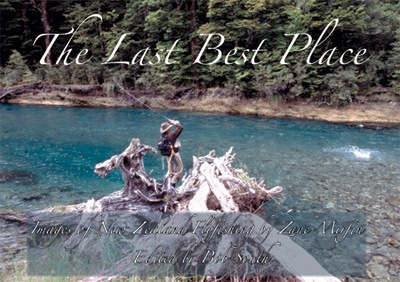 ‘The Last Best Place’ – a celebration of fly-fishing in New Zealand. In a word, ‘stunning’, is the best way to describe this new book of photographs on fly-fishing in New Zealand. 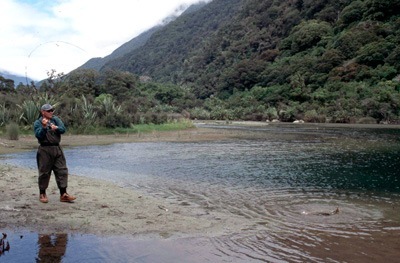 In his introduction, Bob South, award-winning editor of Fish & Game New Zealand magazine, makes a case that Zane Mirfin’s superb photography confirms that New Zealand, head-and-shoulders above anywhere else, warrants the tag The Last Best Place for fly-fishing. 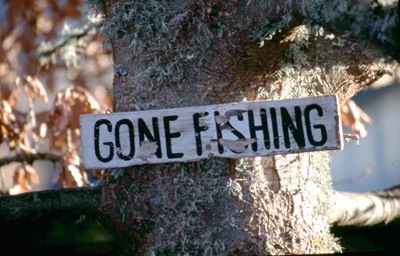 South maintains that Mirfin’s uncanny camerawork allows us all, even the most cynical, to know that, in terms of fly-fishing, we’ve certainly come nowhere near the stage where all is lost here, either in the pollution-susceptible lowland systems, in didymo-invaded mountain streams, or deep in the fragile backcountry. In fact, quite the opposite is true. Zane Mirfin – fishing guide, author, and award-winning photographer, has captured the essence of what makes fly-fishing in New Zealand unique and special. Over 100 remarkable images reveal the drama, splendour, and excitement that is fly-fishing in New Zealand. The images stand alone as a feast for the eye of any angler – each worth more than a thousand words. Each telling its own story. In place of the usual narrative, editor Bob South has selected quotations from angling icons, writers, and celebrities to complement each of these stunning photos of The Last Best Place. While not exactly fishing, these underwater photographs by the BBC’s Photographer of the Year 2005 are riveting stuff. Well worth a peek.